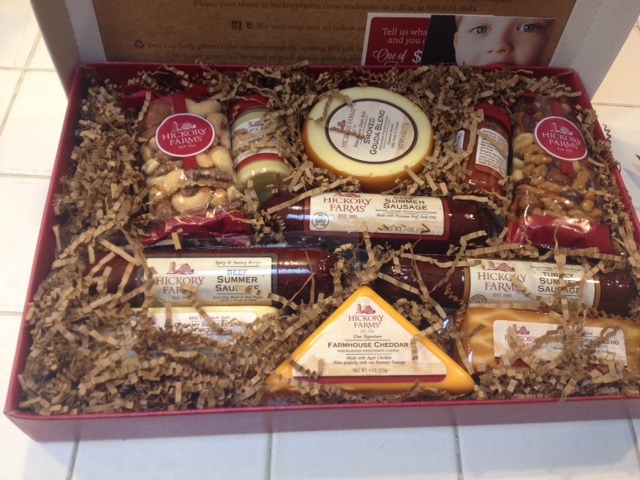 Hickory Farms: Perfect Gifts & Charitable Giving! This is a sponsored post. As always — opinions are 100% my own though! One of my favorite things about Hickory Farms is that they really have something for EVERYONE. They have such a wide variety of products that if you need a last minute office gift, something for Dad or even just something for a Holiday party, you can go to Hickory Farms. AND you can get a last minute gift too! Even better? The prices are pretty good too — they have a price range for every budget too! You know you are getting fresh and high quality items. I really don’t think you can go wrong with a Hickory Farms box or basket. They have been around for over 60 years and have pretty much perfected that food basket. Crackers and cheese with Summer Sausage… YUM! Did you know that Hickory Farms also has teamed up with a few charitable organizations? a. Hickory Farms has a partnership with Share Our Strength (SOS) – a leading national nonprofit organization that works to stamp out childhood hunger. For each Party Planner gift box sold this holiday season, Hickory Farms will donate $5 to Share Our Strength’s No Kid Hungry Campaign (see below for more information). To date Hickory Farms and its customers have donated $1.9 million! If you are looking for a last minute gift — pop by your local kiosk in the mall!